Food, fireworks, flags, and fun. For many families across the United States, the 4th of July weekend is a great opportunity to spend time with friends and family, grill out and eat good food, and play with fireworks. So much time and thought is put into planning a fun holiday get together that the costs of hosting picnics, traveling, and even buying fireworks isn’t even considered. But, for many companies, the 4th of July weekend is that perfect mid-summer event to boost sales. A lot of money is spent on different aspects of planning the perfect 4th of July party. And for 2015, a lot of money is expected to be spent since the holiday falls on a Saturday, providing families with a whole weekend to spend together. Families plan and prepare to feed tons of mouths during this busy holiday weekend. About 80% of American households own a grill, and there will be plenty of shopping dedicated to getting food to grill out this 4th of July. 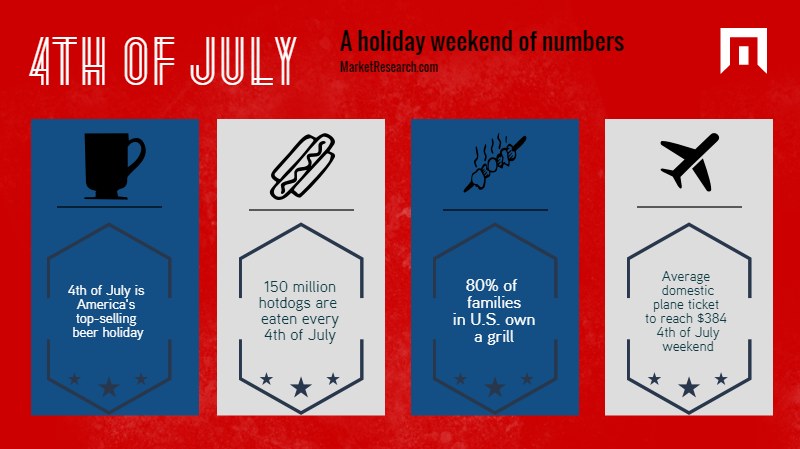 About 150 million hotdogs are eaten every 4th of July; 700 million pounds of chicken is bought during the holiday week; and, 190 million pounds of beef is purchased in the two weeks prior to the holiday. With all this food being purchased, we hope grocery stores have plenty of backstock! The 4th of July weekend, as a whole, is the top selling beer holiday in the U.S. The U.S. beer market as a whole had total revenues of $80.6 billion in 2014. According to a recent report, beer sales are expected to continue to rise through 2019, with expected market value of $84.4 billion by the end of 2019. This year, and in the years to follow, we can expect beer sales during the 4th of July weekends to contribute to the overall growth in the market. According to Time.com, the 4th of July weekend is one of the most popular and most expensive weekends to travel. Although costs have gone down due to lower gas prices, the average cost of a domestic plane ticket is still $384. But, travelers can expect to pay much more than that if they haven’t already booked their tickets. Like most holidays, cheap last minute flights are rare for 4th of July weekend. Lastly, we can’t leave out fireworks and what goes into putting on a good show for both small groups and big cities. In 2014, it was estimated that it cost anywhere between $5,000 and $30,000 for a city to put on a fireworks show for the public. While less that $100 was the estimated amount spent for a customer on fireworks. With the different laws and regulations across the country, we will see that amount shift depending on where consumers live. But, with fireworks, comes accidents. If you plan on spending on fireworks, keep in mind that an estimated 11,400 injuries caused by fireworks were treated in the U.S. in 2013. No matter what you have to offer potential clients during this upcoming 4th of July holiday, be aware that consumers are willing to spend on the holiday to provide their families and friends a good time! That means plenty of food, drinks, and outdoor activities to keep everyone entertained. 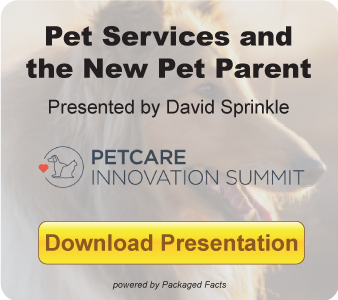 To learn how market research like this can help your business reach success, download our free eBook.